I've been a little distracted with house (and other misc.) 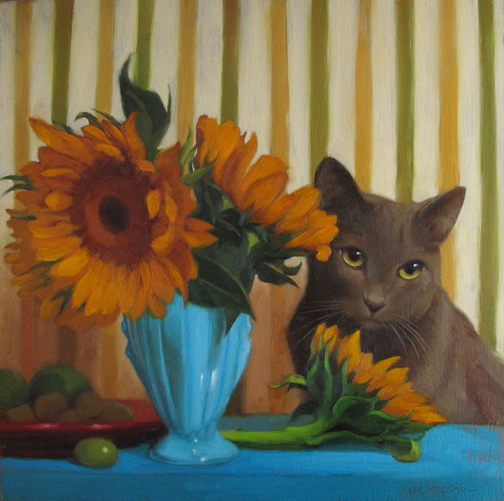 projects lately... but did manage to finish "Coco and Sunflowers" this week. It's another re-iteration, the first one (painted in 2015) is here. Holding this one for a show later in the year! Beautifully designed and love Coco's expression!! Great painting! Love this yummy composition, full of yin/yang and lilting movement! Awesome. An over used word, but very fitting in this case. It's like a number of paintings together, but they don't crowd each other. Lots to look at.